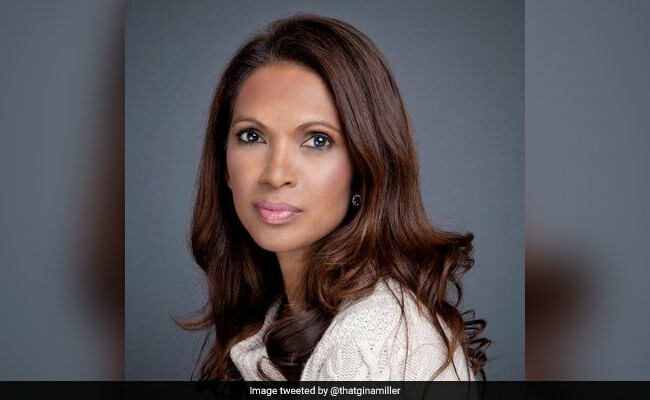 Gina Miller, 52, topped the 2018 'Powerlist' of 100 people of African and African Caribbean heritage, published in London by Powerful Media yesterday. Gina Miller has been a vocal campaigner as part of a 'Best for Britain' drive. London: An Indian-origin campaigner has been named the UK's most influential black person of the year for winning a legal challenge that prevented British Prime Minister Theresa May from triggering Brexit without Parliament's approval. Ms Miller, born Gina Nadira Singh in British Guiana (now Guyana) to Guyana's former Attorney-General Doodnauth Singh, has been a vocal campaigner as part of a 'Best for Britain' drive. She lives under 24-hour security with her husband and three children in London after being targeted by Brexiters on social media for her stance against Britain's exit from the European Union (EU). "It's amazing to get an accolade when what I've done has solicited a huge amount of abuse. To have somebody acknowledge me is extraordinarily kind and counters a lot of what I still get on a daily basis," the businesswoman said. In August, a British aristocrat, Rhodri Phillips, was jailed for 12 weeks for offering "5,000 pounds for the first person to 'accidentally' run over this bloody troublesome first-generation immigrant" in reference to Gina Miller on social media. The 'Powerlist', first published in 2006, is picked by an independent panel of judges. In a statement, 'Powerlist' 2018 editor Eva Simpson praised Miller's strength and resolve. "One of the main aims of the Powerlist is to provide role models for young people across the country. It's important to shine a light on success stories that are often ignored. Gina is a history maker and an inspirational number one. She has shown what can be achieved with single-mindedness and determination," the statement said. Publisher Michael Eboda said he was "proud" about the number of women on this year's list, with women accounting for almost half of the top 100 and six of the top 10. "Gina was a shoo-in this year for number one. Brexit is the most important political event to happen this century. Gina's role in ensuring a sovereignty of Parliament was recognised by the courts has been monumental and has set a precedent that will last hundreds of years," he said. Entrants from across various industries were judged on their "ability to change lives and alter events, as demonstrated over a protracted period of time and in a positive manner".